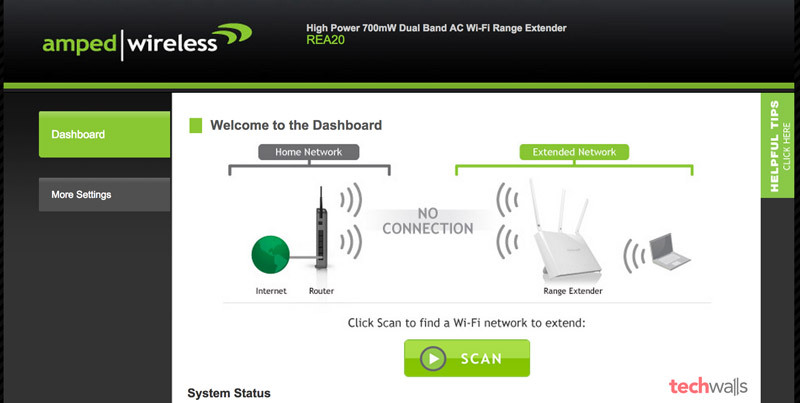 Amped Wireless REA20 is among the most powerful Wi-Fi Range Extender you can find on the market. It can extend the Wi-Fi range by up to 10,000 sq ft, which is twice as powerful as the recent Amped Wireless REC15. We will have an insightful review of the device in another post, now let’s find out how to set up the extender. You should place the extender somewhere between your router and dead zones in your house, make sure it is close enough to get signal from your router. The signal strength is recommended at 70%. The antennas come with 3 different antennas, you have to attach it to the corresponding positions. Then, plug it to a power outlet. Looking at your Wi-Fi connections, you can see there are two new Wi-Fi networks which are named Amped_REA20_2.4 and Amped_REA20_5.0. Just connect to either of them to start the setup. Click on SCAN to find your current Wi-Fi networks. 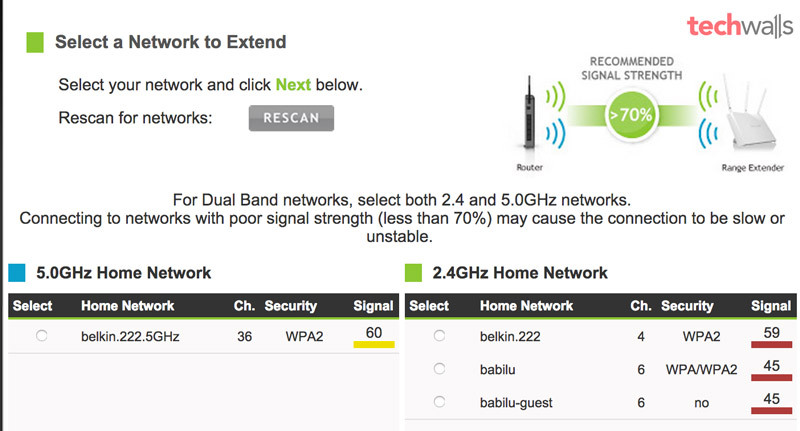 Now you need to choose your networks to extend, just select both 2.4 and 5.0GHz networks. In the next step, you will need to fill in security keys for your existing Wi-Fi networks. After that, you can set up your new extended networks. 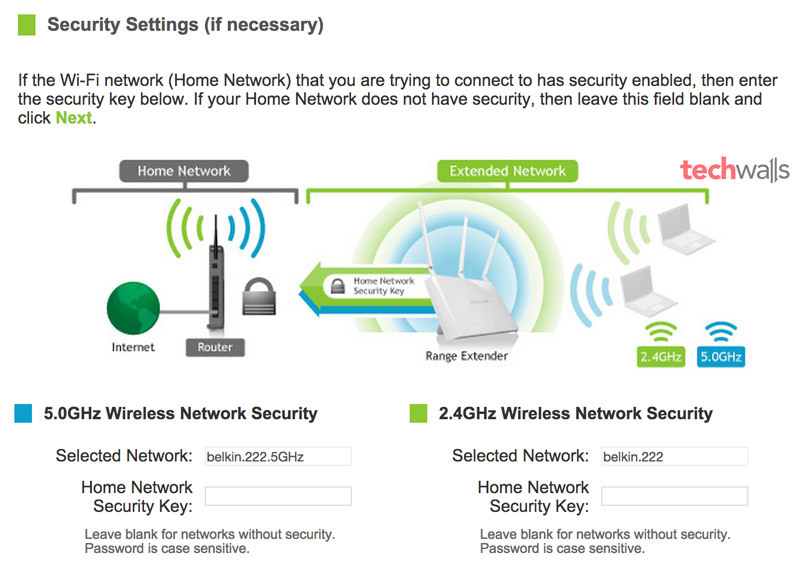 You can either copy settings from your home networks or enter a new network ID and security key. Then, you will have to wait for 3 minutes for those settings to be applied. It is almost done, you are disconnected from the previous connection. You can see two new extended networks that were created in the above step. Connect to the 2.4Ghz or 5.0Ghz network, then come back to the Dashboard to confirm. Now, you are successfully connected to the new extended network. Do you have any issue in the process? Leave a comment below.